As part of Team Digital involvement in FotoFreo 2010. 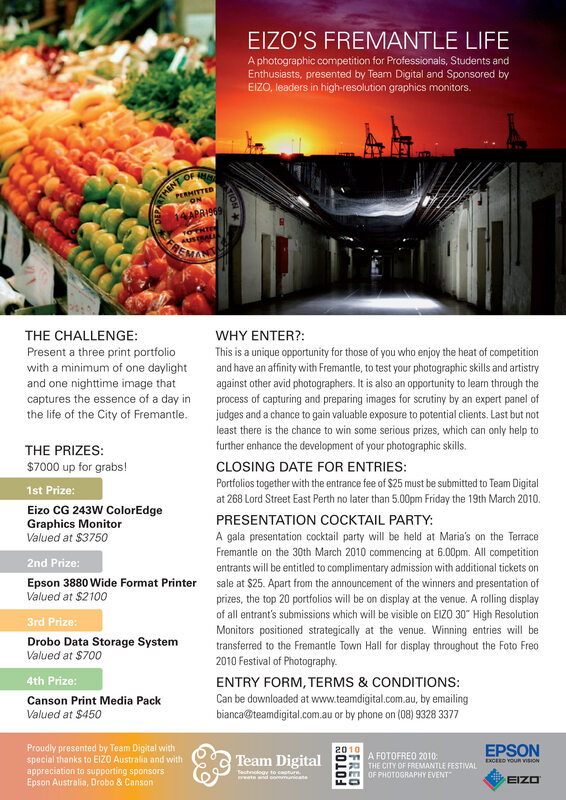 We intro this exciting Photographic Competition EIZO’s Fremantle Life. This a little different to other competitions in that rather than submit one image, we ask you to submit a three print portfolio with a min one daylight shot and one nighttime shot that captures the essence of a day in the life of Fremantle. Entry forms will be available from the Team Digital website by Tuesday. And yes we forgot to mention there is over $ 7000.00 worth of prizes up for grabs.